In many people’s impression, Tibet is a place of snow-capped mountains and grasslands. 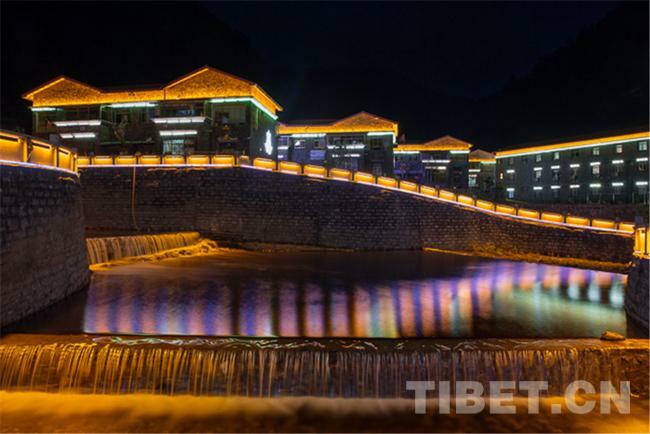 But in the Legpo Valley in Cona County, Lhoka City, Tibet, the vegetation is rich and the river flows. Within the area of the valley are Mama Monba Ethnic Township, Le Monba Ethnic Township, Gomri Monba Ethnic Township, and Gyiba Monba Ethnic Township. Thanks to its beautiful natural scenery and unique folk customs, planning on the Mama Ecological Culture Affluent Model Village began in 2013 and was completed in December 2014. It was officially put into use in January 2015. 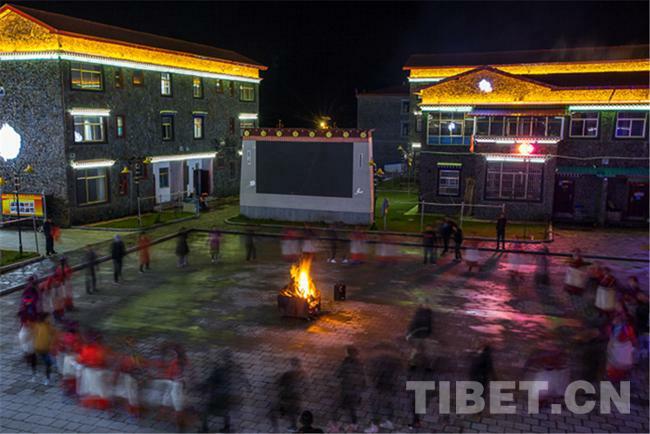 In the square of the Mama Ecological Culture Affluent Model Village, a group of locals dressed in traditional Monba costumes are dancing a circle dance around a bonfire with tourists from all over the country. “As long as the weather is good, there will be a bonfire party on the square at 8:00 p.m. every night. Tourists also like to participate and experience our special local culture,” said 27-year-old Dekyi Tsomo, standing at the door of her home watching the lively crowd in the square. Due to being located next to the popular square, Dekyi Tsomo’s family business is also doing well. Every night she is busy with the teahouse and family inn. Dekyi Tsomo, who was born and raised here, has witnessed the change of Mama Township and the increasing tourists that ecotourism has brought to the Legpo Valley. Dekyi Tsomo stands in front of the counter. “In the past, the roads here were muddy. Housing was poor and not airtight, so that when the wind blew, it would blow right through the cracks in the house. It was very cold. Now, our house is large and bright. We have floor heating and hot water supply, and it is safe and comfortable. The house cost 400,000 yuan(62,346 US dollars); we raised 120,000 yuan (18,702 US dollars) ourselves, and the rest was paid by the government. Moreover, the facilities in our family inn are all given by the government, and I am very grateful,” Dekyi Tsomo said. The first floor of Dekyi Tsomo’s house is a teahouse, and the second and third floors have six guestrooms except the owner's residence. 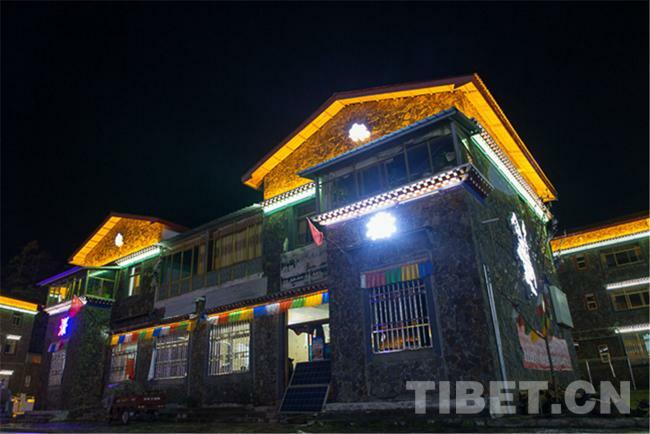 Thanks to ecotourism, the annual income of the teahouse and guesthouse reaches more than 120,000 yuan (18,703.8 US dollars). 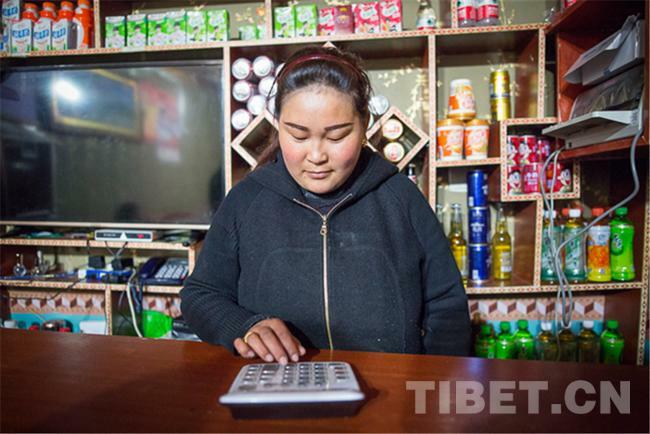 In addition, her husband Rigzin operates a loader machine and earns 11,000 yuan (1,714.5 US dollars) per month, which has put the family on the path to prosperity. 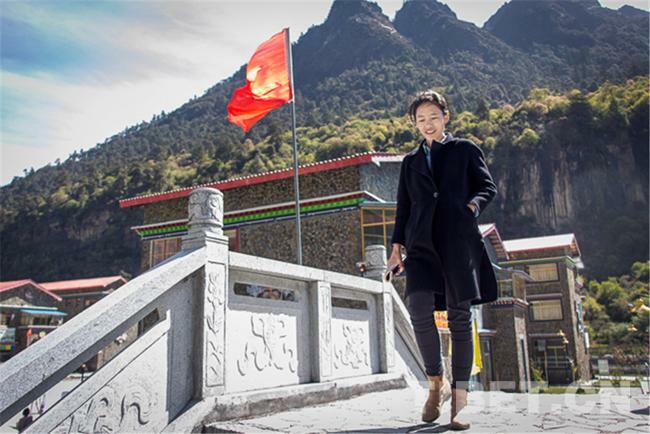 Pema Yangscan, head of Mama Township, said that the Mama Ecological Culture Affluent Model Village Project has built homes for 62 nomadic households, including 40 fully relocated families and 15 on-site relocated families. They built 38 244-square-meter, three-story large houses and 17 166-square-meter, two-story dwelling houses, and they have achieved “hydropower, Internet, toilets, and roads.” In addition, the Affluent Model Village also actively encourages farmers and nomads to rely on their own efforts to make money. 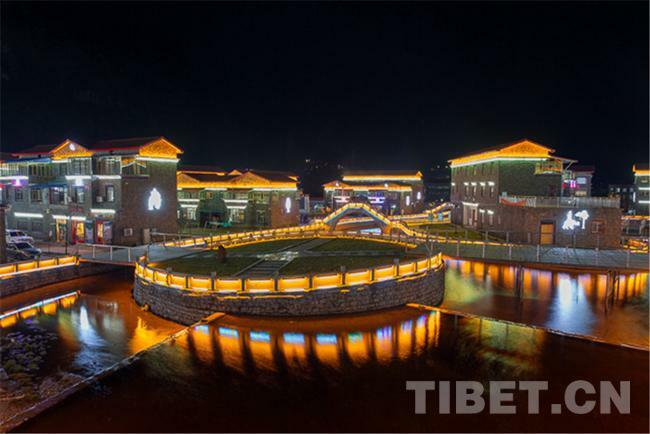 As of now, the Affluent Model Village has opened 49 family inns, seven restaurants, six teahouses, five shops, and seven ethnic specialty product sales points.